The goal in August was to build the studio walls up high enough while there's still some decent building weather so that during September it's possible to order the concrete roof slabs. Apart from that I've been expanding the plugin library and continuing to write new stuff. The latest thing I've equipped the studio with is Waves Abbey Road Collection. I've mentioned before some of my favourites like the Decapitator and Tremolator by Sound Toys (both feature heavily on "Postcards in Real Time"), but I trialled the Abbey Road REDD console through my Waves account recently and damn it if it's not love. The collection also includes Abbey Road Reverb Plates, ADT (Automatic Double Tracking), J37 tape, Vinyl, TG12345 Channel Strip. 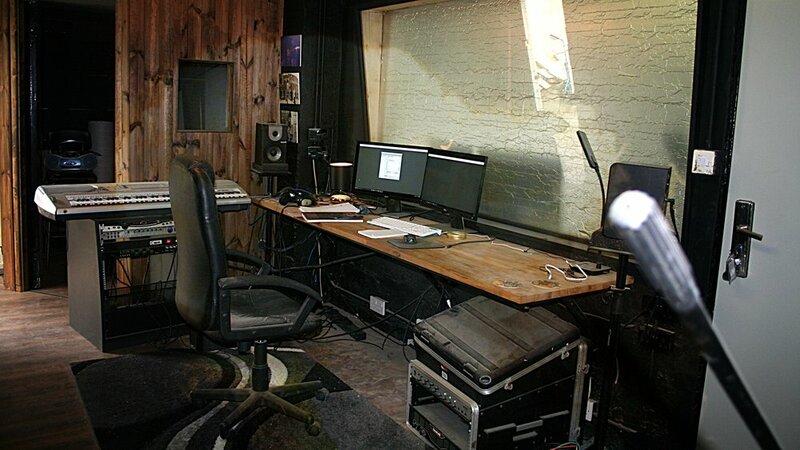 On the Waves site there's a video of Butch Vig demonstrating the ADT on Shirley's vocal on a Garbage track. The studios "Live Room" should have it's walls up to full height in mid-September, and be about ready to order 200mm precast concrete slabs for the roof. Need something pretty substantial to contain the sound of drums, etc. 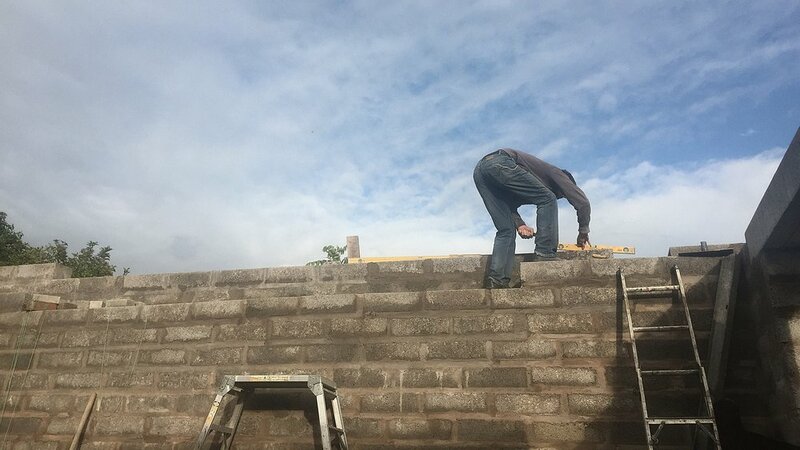 On top of the slabs will be more insulation, roof decking and finally it'll be felted on top to continue the appearance of the old garage (now Control Room). Underneath the roof slabs will be a stud ceiling (angled) with sound block plasterboard and Rockwool. 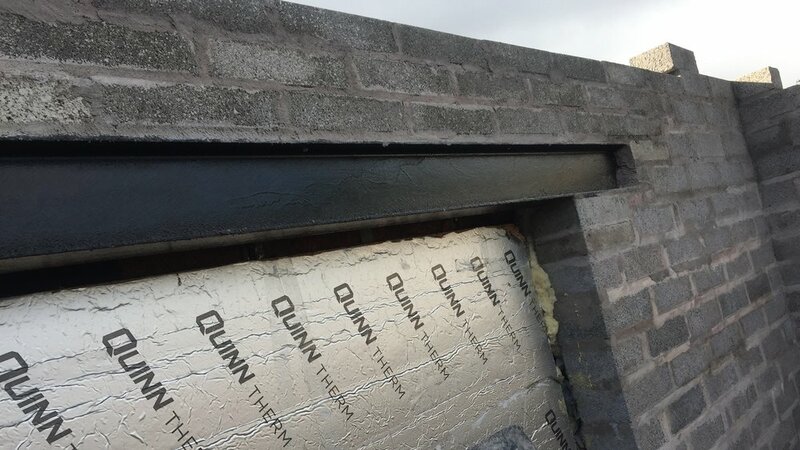 Below you can see that the second steel beam has been built in above what will be the Live Room window opposite the Control Room window (protected in the photo by a sheet of PIR insulation). That's what's been going on during August mainly before the harsher weather sets in and makes building more difficult. The walls should be up to roof level during September. The ghost of Christopher Lee is back in a new role as my Stratocaster. Either that or I've been playing with lens flare effects on a photograph. Sure, only one of the guitars is real...... But WHICH one? I now know the feeling Roger Moore had in The Man With The Golden Gun. Make sure not to miss the next blog, which will feature Sir Anthony Hopkins as my Telecaster. 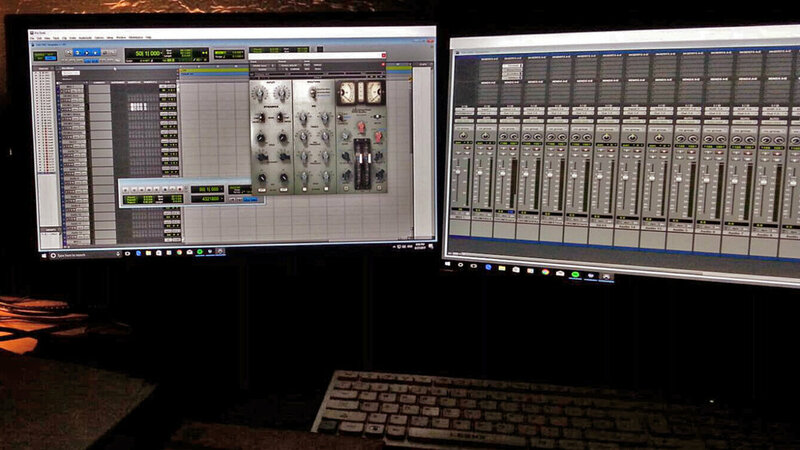 How the studio's Control Room looks at the minute.